Nobody who knew me as a little kid was surprised when I grew up to be a writer. Even back in elementary school I was, in many ways, a stereotypical YA-author-to-be. I had tall stacks of library books and a vocabulary full of long words I didn’t entirely understand. When I think of myself during those years, sprawled in the grass in my parents’ backyard, I’m always wearing a dorky 90’s-girl uniform. I picture thick bangs and slouch socks, big glasses and white Keds. Also, there is always, always a brightly-colored Baby-Sitters Club book in my hand. 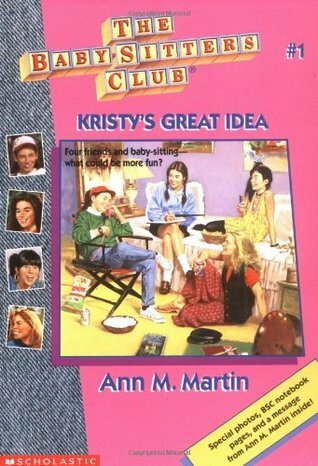 The premise of The Baby-Sitters Club is simple: four friends start a wildly successful baby-sitting business in Stoneybrook, Connecticut, and various shenanigans ensue. Members of the BSC take turns narrating as the books chronicle the trials and tribulations of babysitting, as well as the pains of growing up. Fights with friends. Parents who don’t get it. Boys who might or might not be showing interest in a convoluted, middle school kind of way. Also, I just remembered the one in which Stacey rather scandalously dates a way older lifeguard, so you can bet I’m going to be reinvestigating that one ASAP. Looking back, I was definitely a Mary Anne with Kristy piping, but I don’t remember identifying with one Sitter in particular. Really, I wanted to be all of them. I loved Dawn’s laid-back California surfer vibe and Mallory’s wry, writerly dorkiness. I wore two different socks every day as a nod to Claudia’s weird, wacky fashion sense. The Baby Sitters were smart, funny, creative and imperfect. I’d never really thought about how The Baby Sitters Club had influenced my own writing. However, once I stopped to consider it, the trajectory was clear. Ann M. Martin created the same kinds of stories I’m interested in telling: stories about girls doing stuff. Stories about girls whose friends are the most important thing to them, and about girls who have ideas. There was a time, back in the halcyon days of the mid-90’s, when I owned nearly the entire BSC canon. They fell victim to a crosstown move, limited space and a teenage girl who was more interested in Nora Roberts than Ann M. Martin. However, in recent years I’ve started rebuilding my collection, picking them up at thrift stores, lining them up on a shelf in my office. I like seeing them there as I’m working, full of the promise that there is always one more Great Idea to be had. “These Words Matter” is a guest contribution segment. Learn more here. Katie Cotugno is the New York Times Bestselling author of 99 Days, How To Love, and Fireworks (April 2017). 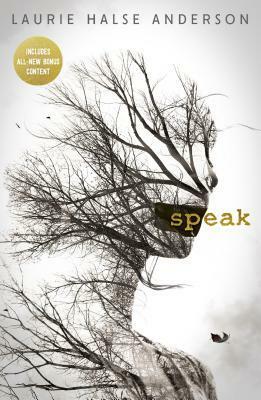 She studied Writing, Literature and Publishing at Emerson College and received her MFA in Fiction at Lesley University. Katie is a Pushcart Prize nominee whose work has appeared in The Iowa Review, The Mississippi Review, Argestes, etc.. She lives in Boston with her husband, Tom. Copyright © 2014-2019 Bree Crowder. All rights reserved.